When should I have my carpets steam cleaned? 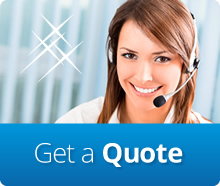 Why can carpet cleaning vary in price from a phone quote? When our cleaner arrives at your premise they may see areas that require stain removal discover heavy soiling or existing in ground smells that require deodorising. We take all factors into account when we provide a carpet cleaning quote, thereby eliminating the possibility of a cost increase. Can cleaned carpets become dirty very quickly? Yes this can happen when a poor quality carpet cleaner pumps your carpet with detergent and does not rinse the detergent out. Our professional carpet cleaners will avoid this problem by pre-spaying your carpet first, then rinsing the pre-spray out, similar to a rinse cycle on a washing machine. Your carpets should be professionally cleaned every 12 months. Unseen bacteria, soils and allergens that may exist can cause the damage to carpet. When your carpet is regularly cleaned and maintained correctly, your carpet life is extended. Your carpet should be cleaned by professionals to avoid damage. Is there any downside to cleaning carpets too often? No. Frequent cleaning of the carpet will help keep maintain its original appearance. We recommend high-traffic areas such as doorways, hallways, etc and areas of heavy-soiling near kitchens, dining rooms, etc are cleaned more frequently than other areas. Remember to vacuum at least weekly with a good quality vacuum in proper working order. How soon will our carpet be ready to walk on after cleaning? Immediately, a professional carpet cleaners will only need clean the carpet fibres. The carpet backing, underlay or floorboards should not get wet. When my carpets are cleaned, what stains can be removed? Our cleaners carry a large amount of commercial grade stain removal solutions for coffee, tea, blood, cola, urine, red wine etc. If the stain has not set and become permanent, stain removal can be successful. A stain is more advanced and may have become set. A spot is a substance that is adhered to the carpet fibre, but has not become set. Removing a set or permanent stain is more difficult to remove compared to a spot. Will steam cleaning or hot water extraction, damage my carpet? No. Many leading carpet manufacturers recommend hot water extraction as the method preferred. This is possibly the best method of removing embedded soil and other contaminants. Can my carpet’s stain-resist treatment be effected after cleaning? We recommend that you reapply the stain-resist treatment after every carpet cleaning service; this will depend on how frequently the carpet is cleaned. Also, foot traffic can destroy some stain-resist treatments. Therefore, those treatments should be reapplied after every 2nd or 3rd carpet cleaning service. Carpet that is only cleaned each every 12 to 18 months may require treatment at that time. Always Clean Australia provide reliable and affordable carpet cleaning services.